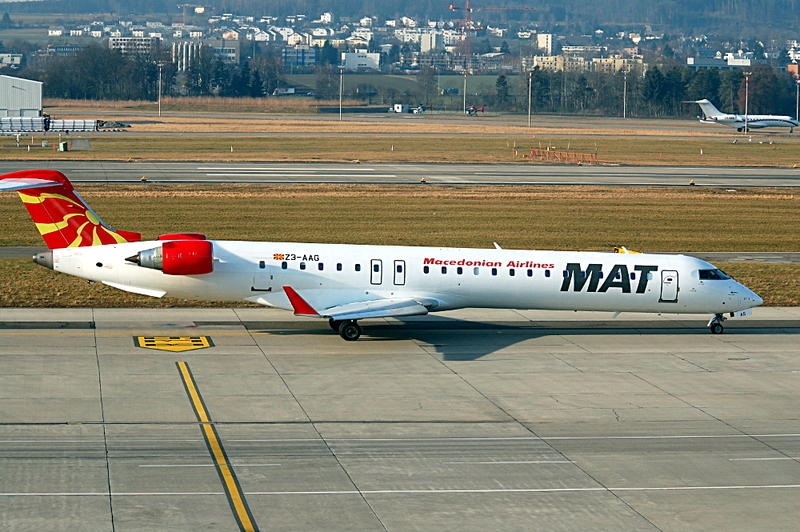 Z3-AAG is a Canadair Regional Jet CRJ-900, which was delivered to MAT Macedonian in 2006, five years after production of the airplane. It has since been operated by Voyageur Airways and Brit Air. In this picture, the plane is taxiing in front of Zurich’s B-dock for a flight to Skopje.